Just like many other countries around the world, as a non-German national, you will need a work permit in order to be eligible to accept work in Germany. This is the case, of course, unless you are an EU citizen, in which case you have permission to work in the country by way of the Freedom of Movement agreement. Germany does have a reputation for being rather strict when it comes to handing out work permits. As a country in general however, they are extremely welcoming to all nationalities. You can apply for a Blue card if you already have a job offer so long as that job pays a minimum salary of EUR 50,800 per year and you are educated to degree level standard. The minimum salary threshold does change each year, so ensure you check on the official Blue card website for up-to-date figures. 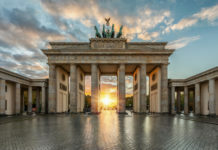 Your other option, if you haven’t yet secured a job in Germany is to apply for a six-month visa, which allows you to enter the country to search for a job within that timeframe. There are other options that you can pursue too, simply head to the website for the Federal Office for Migration and Refugees to see what their latest advice is. On this website, you can find all the details for Germany embassies throughout the world as well as details of exceptions to the immigration rules according to your country of origin. You will need this information when it comes to completing your application. So long as you qualify for a work permit, your application should normally be started in your current country of residence through the German Embassy. As mentioned, contact details for all German embassies throughout the world can be found on the website for the Federal Office for Migration and Refugees. Some nationalities can apply for a work permit once they are in Germany, these exceptions are also detailed on the website. For those hoping to apply for a Blue card, you will first need to check that the job you have secured and your qualifications make you eligible. You can do this by heading to the Anabin database. Here, you should be able to check your qualification by your university and the degree title. If you can’t find details of your qualification, it might be that it needs to be registered. This can be done at a cost of EUR 200. 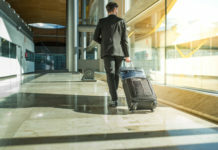 A Blue Card application is usually processed in 2-4 weeks, although you should expect for any other type of visa to take considerably longer as it usually needs the involvement of the ZAV. The ZAV is an organisation that is responsible for ensuring that for any job offered to a non-German nation there is not a German nation equivalent who would be perfectly capable of completing the role. If they find that there is, preference is given to the German national. If not, so long as your employer adheres to the procedures for hiring a non-German national, your visa will usually go through without any problems. It just can be a time-consuming process so make sure you apply in plenty of time. Employers can speed up the process by writing a letter declaring the urgency of your appointment if they see fit. Once your application is declared successful you are usually sent a 90-day business visa which allows you to start work with your new employer straight away. Just be sure to have this with you when you travel into the country so you can prove your entitlement to immigration staff at the airport. The most important things when it comes to organising your travel to Germany is to ensure that you have all of the right documents on you, including your visa so that you can prove your entitlement to stay to immigration officials. Other than that, it is just a case of you organising the right form of transport for you, whether you choose air transport or to drive across to the country. Be aware that you might need to arrange to have many of your possessions shipped over separately, so you might need to find a way to take what you will need immediately with you, whichever form of transport you use to get you into Germany. We recommend that you always seek tax advice when it comes to calculating your tax liability in Germany. There are many factors, especially if you are going to have assets or income that will remain outside of Germany, that need to be taken into account for any estimate to be accurate. If you seek advice before you accept a job offer, you can at least be sure that there will not be any nasty surprises in terms of you having a larger tax liability than you planned for. If you do just need a rough calculation because you feel that you are not affected by other factors you can always use the Brutto Netto Rechner. This calculator isn’t exact and does not take into account any other income that you might have but it can give you an idea of your tax liability, without you having to pay out for specialist advice. Plus, the calculator also takes into your account your liability towards public healthcare so will cover all of the major deductions from your salary. Head to the website ‘Make it in Germany’, the official website of the Government authority responsible for the collection of taxes for more information. Finding your new home in Germany can be an extremely fun process. This is going to be your new life, arranging it should definitely be enjoyable. In order to make the process easier, we always recommend that you use the services of a relocation agent. Remember, that it will be a busy time for you, you will be getting to grips with a new job as well as getting used to living in a completely new country, you will need as much help as possible. We also recommend that in the first instance, you start off with renting a furnished apartment. To rent these, a personal inspection is not usually required, meaning you can sort arrangements for rental in your home country through your agent. Minimum rental agreements for this type of apartment are often for a three-month period, which gives you plenty of time to sort your permanent accommodation. Your relocation manager will guide you through the leasing process, however, and advise you every step of the way. In Germany, accommodation designed to be permanent is usually rented out for a period of four to five years and sometimes even more. Real-estate owners will often ask you to waive your right to cancellation for the initial period as a consequence of them not being able to charge you commission. This means that you likely won’t be able to get out of your rental agreement for the first one to two years of your contract. It works in your favour as well because the real estate agent often waives their right to back out too. It is usual for renters to have to pay up to two to three months rent in advance in order to secure a property. When viewing property in the lower price brackets, expect to be shown around with other interested parties, often between 20 and 30 people at the same time. You do need to take your time when viewing property because you are usually only able to view once. The only exception to this is when a property falls in the higher price brackets, sometimes, in this case, you can look around more than once, although it is still frowned upon. Take photographs if you can during your viewing and ensure you take any measurements that you might need prior to moving in. Also make sure you take a note of any damage and check if the landlord will be rectifying it before you move in. If not, remember that you are not obliged to fix the problem before you move out. It is worth noting, however, that should the landlord hand over a pristine apartment, you will be expected to do the same when the time comes for you to give the apartment back. Unfurnished, permanent accommodation in Germany is usually empty, meaning that you will have to fill it with your own furniture and appliances. There are regional differences, in Hamburg, for instance, kitchens often have some appliances whereas in Munich the kitchen is often bare. Try and arrange a second visit to the property once you have arranged the contract so that you can measure up to make a start on ordering the big pieces of furniture that you will need. There can often be a wait for these items so it is best to order them as soon as possible. There are certain items that you might want to purchase ready for your move too, step ladders, light bulbs and cleaning equipment will all make moving day run a lot smoother. Always insist on doing thorough handover checks. This is your chance to make sure everything that isn’t in tip-top condition before you move in is recorded. Your landlord is not legally obliged to sign a handover document but not doing so is a surefire sign that something is wrong. If they do refuse to sign, make sure you have a witness with you as you make note of the damage and that they counter-sign the document too. The handover is also a good opportunity to check what action you should take in an emergency situation. What should you do, for instance, if you lose your keys or the heating breaks down? You should also seek advice as to when rubbish is collected, how to use any appliances in the apartment or the best place nearby to go for coffee, all the things that will make your life easier once you move in. Meter readings for the gas and electricity supply should be recorded on your handover report. Use these to sign up with suppliers of gas, electricity and water. When you are in the middle of relocating to Germany it might be an idea to stick to larger providers who really know what they are doing. This means approaching companies such as Eon or Vattenfall, your water supplier will depend on your locality. You will be charged for a month upfront, this is standard for all German utility providers and you should be careful that your monthly payment is not based on excessive usage from previous tenants of your property. Your payments will be reviewed after the first year however and adjusted according to your usage. Remember to set up standing orders to cover the payments as non-payment can trigger legal proceedings against you. If you need to get a phone up and running quickly you should consider purchasing a pre-paid card. You can usually use any card that you can purchase from a supermarket unless your phone is locked to a particular supplier. In order to get WLAN at home, you will need to sign up for a contract, these usually run for 24 months and give you internet, home phone and a TV package. It can take between 2-4 weeks to arrange, although some larger providers might send you a USB stick to use until your router comes through. Don’t be tempted to use your own router, they very rarely work and support will only be available in German. 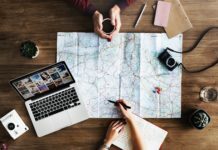 You should start organising the movement of your possessions once you know your work permit has been granted and that you will definitely be relocating to Germany. Spend some time researching logistics companies and seek an estimated arrival time from them. It is best to arrange the arrival for approximately three months after your arrival in Germany, this gives you a chance to get settled. Just bear in mind that any dates given are always liable to change where goods are travelling by boat. Once you have your interim accommodation and are in the country, make an appointment to register at the local city hall. You need to register before you can open a bank account and waiting times can be between 4-6 weeks, so you really need to do this as soon as possible. Take your passport, residence title and proof of your accommodation with you. It can be difficult to get your landlord to supply this for short-term lets so always ask for it up front before you sign contracts. There are three main banks in Germany. They all differ in terms of cash machine availability and the opportunity to bank online in English. You might wish to look into this before you choose an account provider. Normal accounts are usually charged at similar rates, regardless of provider, although credit cards might attract different charges, with annual fees ranging from EUR 25-50. Once you are settled in Germany, it’s time to apply for your residence permit and visa, which comes in the form of an eAT card. It will take two appointments to arrange this. Your first call should be to the local office for Foreign Affairs to check that they have your documents and that your details are on their database. From there, you should be able to organise the initial appointment, sometimes you can book it in, sometimes it is a case of turning up at the office and waiting for your turn. Lead times can be quite significant, so if at all possible organise your first appointment before you are in Germany. If you are pregnant on your arrival in Germany, you will have a bit more to think about. You will need to organise a midwife as soon as possible. They are short in supply because regulations introduced by insurance companies have drastically cut the profits that those in the business can make. Arranging a midwife might be difficult but the Germans do look after those who are pregnant. You can expect legal benefits as well as free medical examinations, birth preparation classes and post-natal classes. Pre-school or daycare for the 0-5 age range can be difficult to secure. You really need to register with providers as soon as possible to ensure that you can get a place. Do so before you even leave for Germany if possible and register with as many providers as you can. Don’t be afraid to inquire every so often as to your position on the waiting list too. When it comes to finding the best quality provider, the best advice is to rely on your gut and to look for clues in how the staff treat your child when you visit. Education in Germany is generally considered to be high-quality, although pedologically speaking, the approach can be different from what you are used to. There are two schooling options open to you and your family. The first is to enrol your child into a private international school, which allows them to mingle with children of other families in your situation. The other option is to enrol them in a German public school. This might be seen by some as throwing them in at the deep end in regard to the language barrier but in the long run, it can be the best solution for your child when it comes to coping with their new living situation. Enrolment in public school can be completed at any time of the year and your child will usually be offered a place in a school within your local area. There are a variety of allowances that you might be entitled to. These include the following. Kita Voucher – designed to support those sending their child to pre-school or kindergarten. It can help you meet the cost involved and is a significant financial support. Apply once your child is registered with a provider. Children allowance – You will be entitled to this so long as your income comes from a German employment contract. Your child will need to be registered for you to be eligible. Parental support – designed to help families with newborns and to help them stay at home with their baby during the first year. Families with higher incomes will receive 65% of the average annual salary whereas lower-income families will receive up to 100%. Germany has the reputation for having the most comprehensive healthcare system in the world. The majority of the German residents make use of the voluntary or mandatory public healthcare programmes while the remainder (about 15%) have some form of private healthcare. The Health Insurance Reform which came into effect in 2007, stipulates that all residents must be covered for both outpatient and inpatient treatments. Pregnancies and specific types of examinations also need to be included the healthcare programme. A private firm or an international company (PKV). A mixture of these two options. Anyone who meets the income threshold of 56,250 Euros annually (or 4688 Euros per month), particularly self employed individuals or general high income earners, can select a fully private health insurance. Everyone has different requirements so we recommend to contact a independent health insurance broker for advice. In this way you will get tailored advice with adequate coverage for your needs. Different providers offer specific plans, so coverage and pricing is often entirely unique. 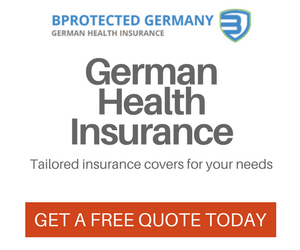 It is important to note that German health insurance is absolutely essential (and a requirement) in the event of injury or illness. If your license was issued in the EU, you are fine. Otherwise, your license will expire after 6 months and you will need to validate your license in Germany. Remember, if you fail to do so you will not be insured and this could leave you owing thousands of Euros if you got into an accident. You could even face jail-time. All non-German licences also need to be translated and that translation should be carried around with you. You will need to send your licence to the ADAC to get this and you won’t be able to drive whilst it is in their possession. Check the Federal Ministry of Transport and Digital Infrastructure for more information about driving in Germany. Relocating to Germany can be a difficult task because there is so much to think about. The country is so beautiful however and has such a rich and vibrant culture that makes any difficult move entirely worth-while. We guarantee that you will love your new life in Germany.